Full Operations is Ridango's flagship service. 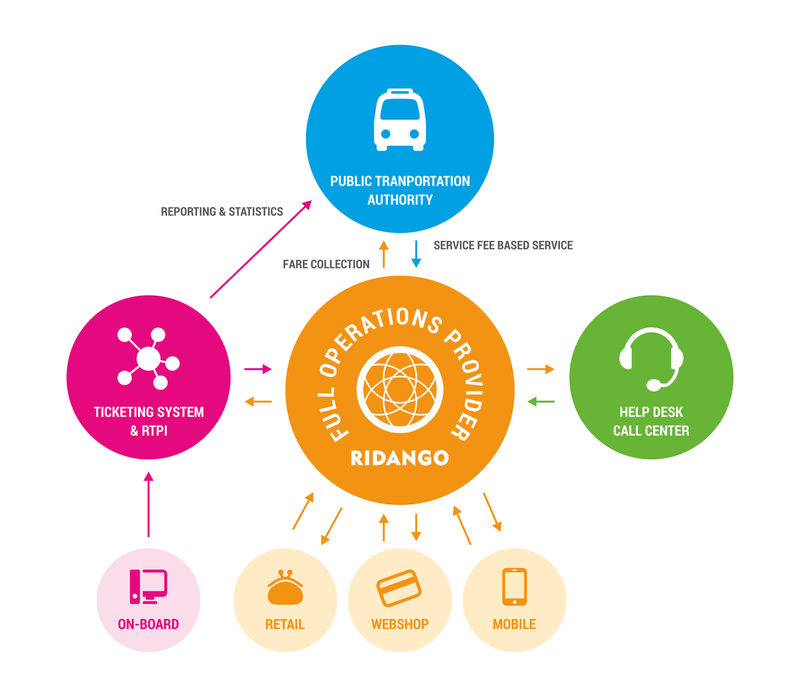 It means that Ridango is operating on behalf of an operator or transit agency part or most of the business related to ticket sales, ticket distribution, 24/ help-desk and RTPI. Ridango Full Operations provides transportation agency or operator more time to deal with their core business and allows technical and operational work to be outsourced. We provide ticket distribution and transit card distribution services. We manage on behalf of the agency or operator the whole process. We keep balance of cards, balance of money on the cards, information on locations of cards and manage the contracts on card manufacturing with suitable design and parameters applicable to Ridango's transit ticketing solution. We have worked for years with different card providers and personalization companies and have therefore, number of partners with whom we coordinate card manufacturing and personalization. We provide reseller network and merchant agreements to transit agencies on behalf of them. We work with many merchants in different countries. The merchant network and merchant integrations help to reduce expensive infrastructure needed for transit cards and ticketing and since Ridango provides a account based system then is no need for specific hardware to be able to sell or top-up the transit cards that Ridango provides. We provide acquiring contracts and integrations as turn-key so that the transit agency or operator does not need to manage each and every contract separately. Clearing and fare collection is always critical while operating transportation ticketing. Ridango offers clearing house services for single operator as well as clearing house services through centralised data and fare collection for multi-operator environment. This means that we manage the sales networks and manage different operators and financial relationships between them and provide the information of who credits and debits who how much and in which period. We also provide paper and driver assisted sale clearing information and overview of how much each vehicle driver needs to clear end of work day. The information is gathered centrally to the the back-end engine and provided to operators real-time. End customer support services are always critical for any transport operator and agency. Satisfied customer is key to any operations that deals with transportation. Ridango has 5 year experience supporting travelers through its partners. We provide 24/7 phone support and web support.